One of the most detested nuisances appearing prominently on the face is blackheads. Blackheads appear as small dark lesions on the neck and face often in accompaniment of a mild acne but they can appear alone at times. What makes them dark is the fact that they are made of oxidized melanin, the dark pigment produced by the cells of the skin. – An attempt to squeeze or scrub a blackhead can worsen it. – Oxidized melanin makes blackheads, not dirt. – Avoiding oil-based skin care products, tight-fitting clothes, alcohol-based skin products, and humid environment can significantly reduce the occurrence of blackheads. – A spike in sebum production through the activities of hormones can be the reason behind their onset. When the pores on your skin are blocked by dead skin cells and the oily sebum, they produce protrusions known as Comedones. It has been found that blackheads are nothing but a form of comedo. Normally, hair grows from the hair follicles under which lies the sebaceous glands, the structures that produce sebum. But when the pores are blocked, the trapped dead skin in it reacts with oxygen to form blackheads which are dark in colour. It is possible for you to be clean and still develop blackheads, so dirty skin has nothing to do with the development of blackheads. Partial closure of the skin aids in the development of blackheads. This is because oxygen is allowed to penetrate deeper and react with the dead skin to produce dark or yellowish lesions. Hence regular lesions are remarkably different from blackheads because air doesn’t penetrate them. The most afflicted areas of the body are the face, neck, arms, shoulders, and chest. Puberty age individuals are more prone to blackhead development than anyone else, thanks to the raging hormones in those individuals. The androgen hormone in boys triggers secretion of sebum around puberty. Boys and girls register higher sebum secretion around adolescent. 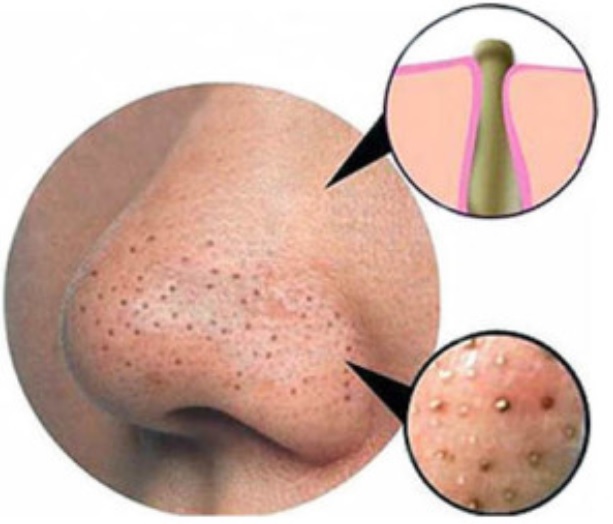 More elderly individuals develop blackheads as well but not often. Exfoliating your skin extensively increases the chances of developing blackheads. What are the symptoms of blackhead development? A blackhead begins a small dark lesion before becoming hard and more prominent. Although blackheads are a sign of acne, they differ significantly with acne due to the fact that they are caused by open pores. They are also noninfectious and painless just like pustules and pimples. Blackheads are raised in texture but flatter than pimples. They can be a source of embarrassment and psychological setbacks to their ever-changing texture. Indica Medi Spa aims to assist you achieve the best skin possible whilst providing real visible results. Your therapist will recommend a treatment designed to best suit your skin’s needs, using only the best cosmeceutical products. The brands we use in our facial treatments are all proudly cruelty-free. In case it becomes difficult to know your skin type, our spa therapists are there to help you. Therefore, feel free to schedule an appointment with us. Get to know how much interesting our services are and how easy it is to allow your skin become healthier and more beautiful! Allow our thoroughly trained therapists take your skin to the next level with our range of treatments. Whether you want to treat fine lines & wrinkles, loss of firmness, pigmentation, scarring, acne, redness, broken capillaries and more, we can help you. We proudly use medical grade treatments in combination with results-driven skincare. Why not give us a call and book your free consultation today on 08 8352 5454.